It’s a ritual repeated every year. When the month of Bhadrapada (or Bhaado, as Bollywood and popular songs have it) arrives, it’s time for the devout to celebrate the birth of Lord Ganesh. Celebrations are organised by Hindus and other communities alike, in a spirit of togetherness. In Bollywood, many Muslim stars participate in, if not organise, Ganesh pujas, with pandals and aartis and prasad and much drum-beating. 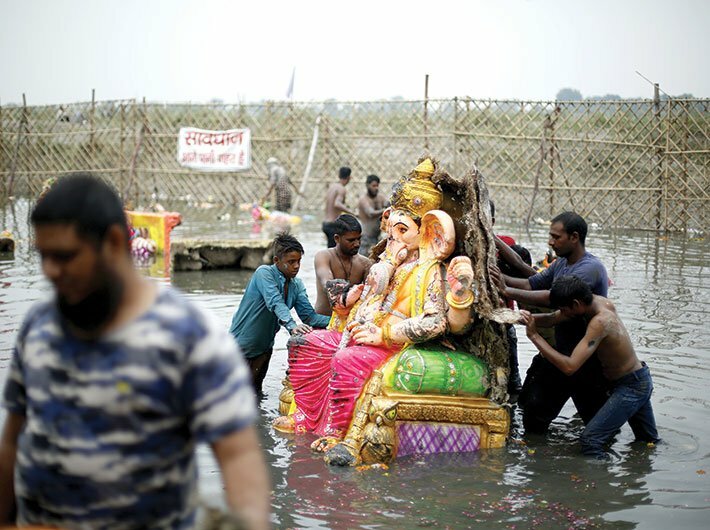 At the end of ten days, however, comes the time for visarjan, of ritually immersing the idols in a natural water body. And polluting it with the plaster of Paris used for making the idols, the glue, the paint. 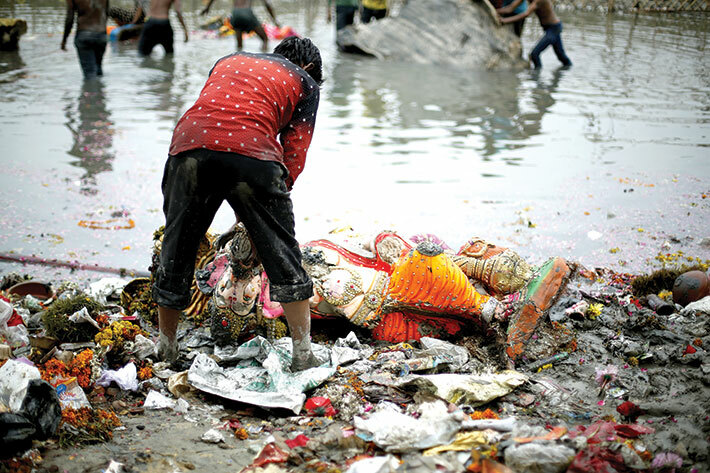 Adding to it is the garbage created by 10 days of puja and festivity. Slowly, people are going for idols of clay or biodegradable material. Some make them out of sugarcane or unripe bananas for distribution when the puja is over. But the majority, as these pictures of the Yamuna taken near Kashmiri Gate in Delhi a day after show, still end up uglifying our rivers, lakes, and beaches. 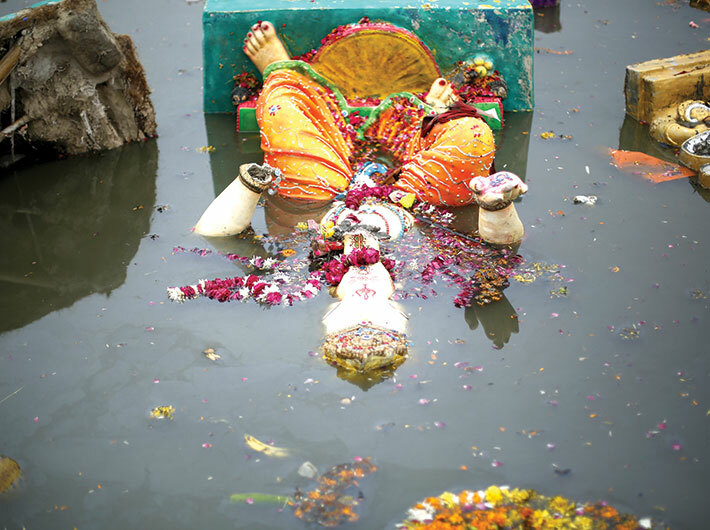 The Yamuna is polluted and unclean to begin with. Untreated effluent and sewage is illegaly voided into it. In the monsoon, the banks are sludged. 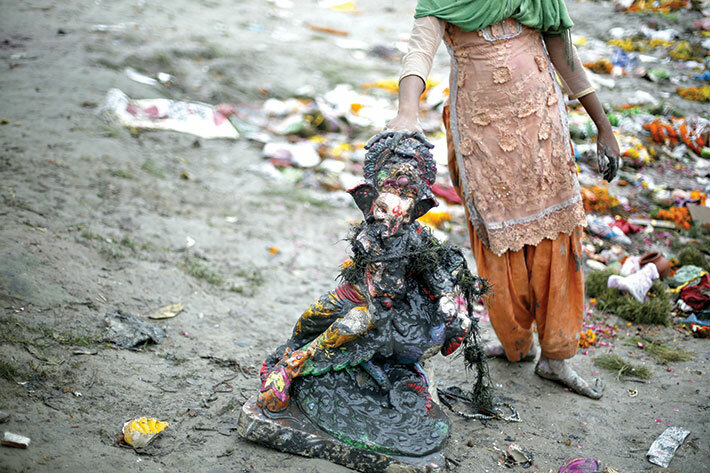 And the idols worshipped for ten days find a place in the muck.